Vitamins & MineralsNOW Foods Special Two - 90 tabl. NOW Foods Special Two - 90 tabl. During intense exercise causes increased demand for vitamins and minerals that need to be completed. If you are looking for a suitable supplement to just look at him. Complex composition and quality are the characteristics of this product. NOW Foods Special Two - 120 kaps. NOW Foods Special Two - 180 tabl. NOW Foods Special Two - 240 kaps. There is little market vitamin-mineral complexes with such a thoughtful composition and proportions of the individual components. An additional advantage is the fact that the supplement is based on the highest quality forms of minerals and vitamins of natural origin (up to 47 components invigorating). Nowadays, when the food is often not sufficient quality we have to deal with emerging shortages of micro and macro elements. The ideal solution would be to tap precisely NOW Foods Special Two, so that you will not have to worry about possible shortages of vitamins and minerals in their diet. Bet on the health, attitudes to Special Two! It is one of the most popular formulas in the United States. 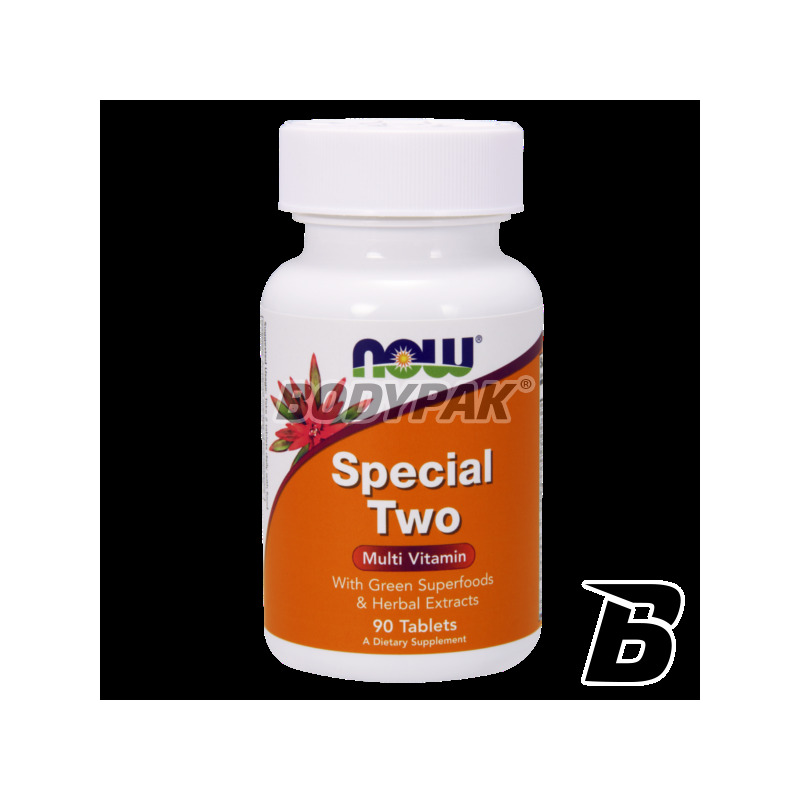 Trec Vitamin C 1000 Ultra Bioflav - 30 kaps. UNS KELP - 30 tabl. BioTech Vitamin Complex - 60 kaps. The complex of vitamins and minerals specifically designed for you having regard to your individual needs. The special combination of substances to provide the most important trace elements for the proper functioning of your body.